Sunday’s are made to Sparkle! Join us this Sunday for our very first Sparkling Sunday! Rob Macson will be on the decks spinning your favorite beats and creating an atmosphere perfect for a Sunday chill session. 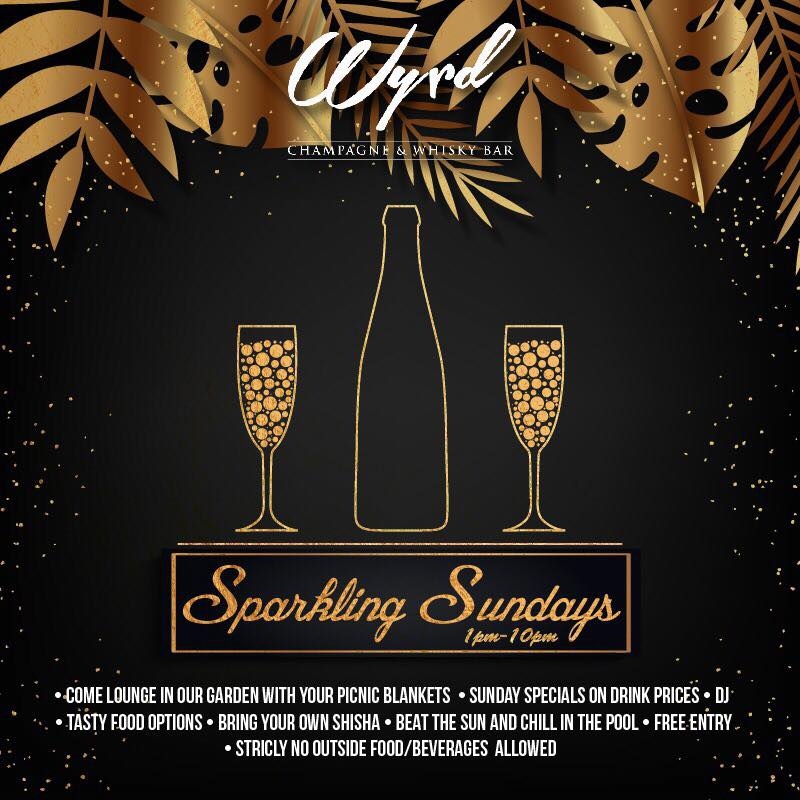 A variety of food will be prepared especially for you by Scotch Kart, Lane Catering and Treats allowing for a nice nibble while you sip on one of our Wyrd drink specials! Bring your picnic blanket, your shisha and your trunks so you can relax in our garden or you can cool off in or around the pool! Regret No Outside food or beverages will be permitted!